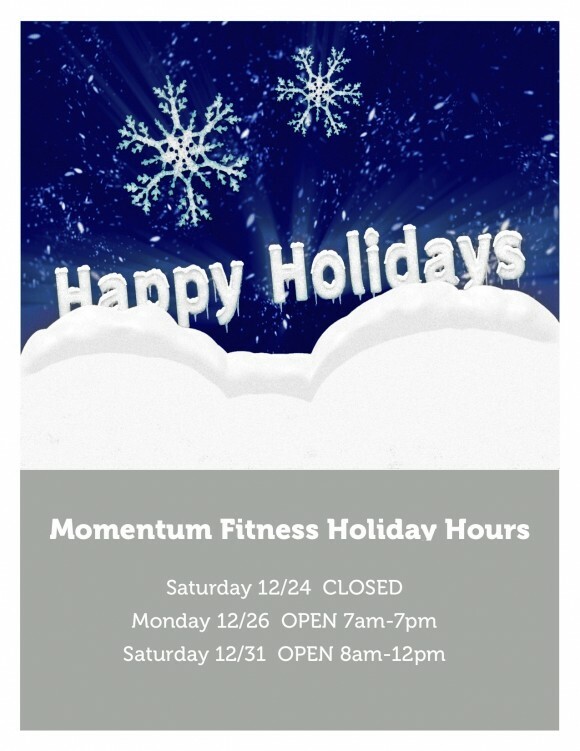 Here are our class cancellations at Momentum Fitness through the upcoming holidays. All other classes will take place at their regularly scheduled times. See you soon! Happy Holidays!